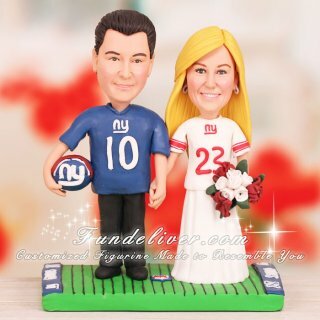 This is a completely customized New York Giants wedding cake topper ordered by one of our customers. Actually this will be a surprise ordered by the bride for her husband. 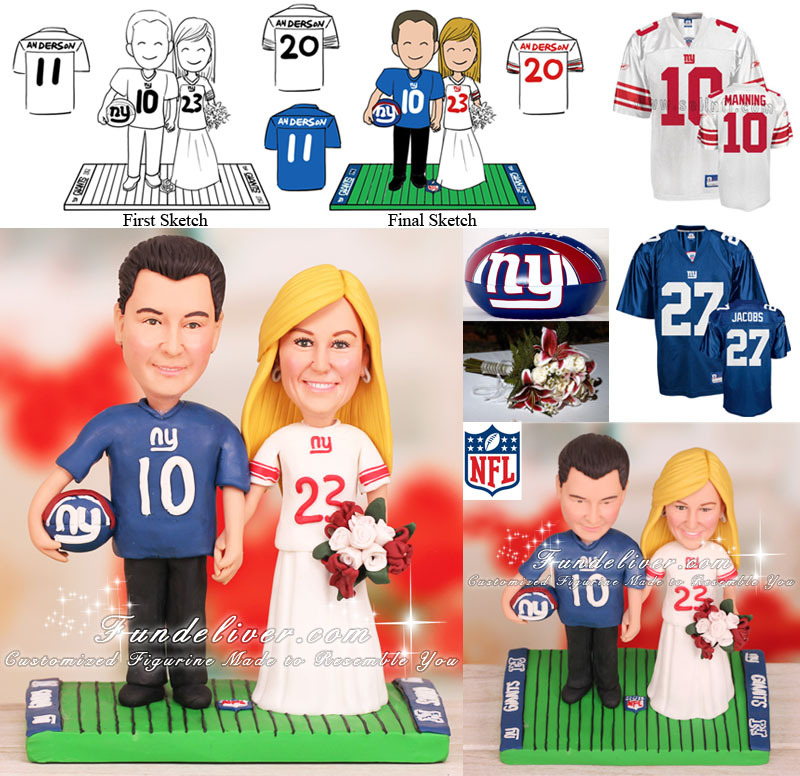 She would like the bride figurine to be wearing a white New York Giants jersey, over plain white wedding dress, holding hands with groom, other hand holding a fresh cut white roses/star gazer bouquet. For the groom, she would like his figurine to be wearing a blue New York Giants jersey, black tuxedo pants, arm furthest from bride holding a football. Front of jerseys read wedding date (October 23rd). Groom wears 10, bride wears 23. Back of jerseys read wedding year (2011). Groom wears 11, bride wears 20. Name on back of both jerseys reads ANDERSON. They are standing on a green grass Giants field with both endzones saying NY GIANTS.